Quick post tonight of a Birthday card I created for a sweet little girl who is turning 4... She LOVES horses!! 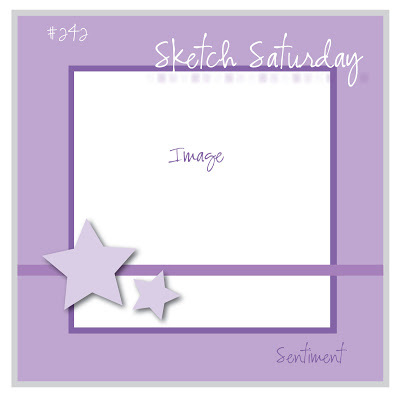 I chose to use the Sketch from Sketch Saturday which was perfect for this Lili of the Valley stamp. I love their sweet stamps!! I stamped it with Memento Black Tuxedo ink and colored it in with Copics. The papers are from a retired Close to My Heart Valentine pack. The black gingham ribbon is from my stash. 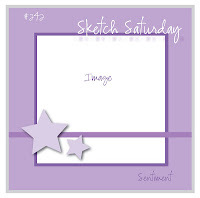 Fabulous colouration of this sweet LOTV stamp and wonderful take on the sketch Sally, love your paper and ribbon treatment. PS. I have also become a follower! !